There was once a time where the name Broken Social Scene was a rather ubiquitous presence in Canadian indie rock, especially in the under-appreciated Toronto music scene. In what was something of an unstable time in alternative music, co-founder Kevin Drew helped assemble a who's who collection of what would be the immediate future of the genre in Canada, along with a record label (Arts & Crafts Productions) and three albums in the early 2000's. The stage was set for a number of Canadian performers to follow then-recent success stories such as Arcade Fire and The New Pornographers. 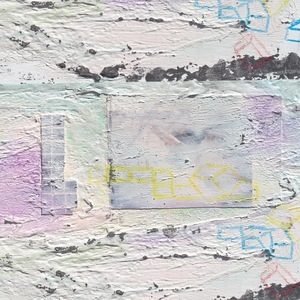 In the 12 years since Broken Social Scene's eponymous third album, the band only released 2010's Forgiveness Rock Record as many side and solo projects were born under the umbrella of the massive outfit. Acts highlighted by Metric and Stars lay claim to this, as do acclaimed solo careers of Brendan Canning and Leslie Feist - both of whom released solo albums within the last several months. So 2017's Hug of Thunder almost represents a family reunion of sorts, given the ensemble lineup could once boast 10-15 active members at a given time. And while the project is no longer a true main focus, the proof is in the pudding if you were skeptical as to whether or not the different paths by its members would hinder them from re-creating the same magic this collective once had - or still have, to be more accurate. The band maintains their pomp and circumstance, the confetti is flying and the fireworks are still going off. This could not be more evident in their lead single "Halfway Home" which can't help but take you back to their more primitive early years. Middle track "Vanity Pail Kids" is as heavy of a track as you would find, but it is countered nicely by the title track, which Feist has her hands all over, perhaps saving some of her best ideas from this year's solo effort for this uplifting track. "Victim Lover" resonates in the way the chorus claims - crashing down on you, but in my opinion as of this writing, the highlight is "Protest Song," which as the name suggests, is likely their most political song and thus requires the energy Emily Haines has given it and may be the glue that holds this together as being a truly great album. Ultimately, this massive Canadian all-star collective has rejuvenated itself with a bombastic and positive aura in a time where it may be needed the most. In the same vein exudes the nostalgic vibe of "classic indie-rock" that may now exist and doesn't feel like that "their older stuff was better," because the reality is that this is the same great band that existed in 2004 still belongs here in 2017, and when we get to December, this album will be seen on many best-of lists. Broken Social Scene return to Philadelphia at The Fillmore on October 3rd. Also, don't miss the July 25th episode of Sounds Canadian, where we'll take a look at the Arts & Crafts roster of artists.